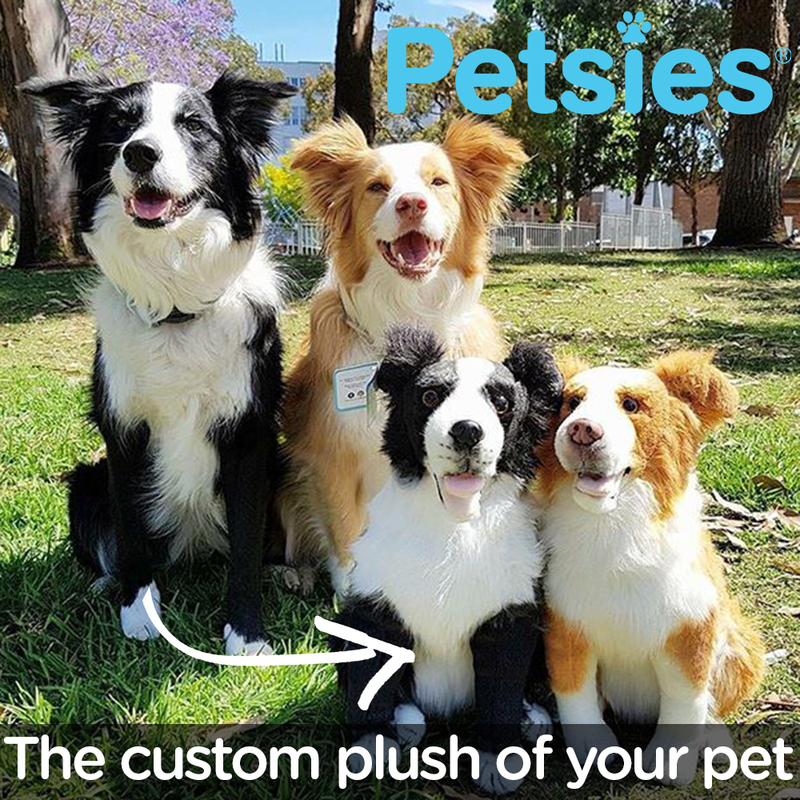 As a dog owner my whole life (and that is over 50 years), and a owner/operator of a Pet Hotel for more than 23 years, a professional dog groomer for 12 years, one is bound to experience a wide variety of disorders, diseases or illness in dogs. In the following post, I will go over some common causes of dog seizures and treatment options. Since I became married and caretaker of my own home (over 36 years ago), I became interested in better ways of staying healthy or becoming healthy, both for the humans in our home and our animals on our ranch. I began to research a wide variety of ways to increase my knowledge of better health through magazines and books. This was obviously long before the days of public internet, before Google, before Micro Soft, before cell phones…. well before a lot of things that the younger generation now takes for granted. How much easier it is to research anything these days! that didn’t inconvenience him too much so we never had him treated. Every now and then, usually after walking up from a nap, our Poodle Kricket would start seizing before getting up. His legs would be kicking and body jerking for a few seconds, and then gradually Kricket would quiet and walk off , seemingly unaware of what had happened. One might think that maybe he was just having a dream, as some dogs will kick and make noises while sleeping. However, I doubt this was the case, because he would be a little unsteady and weak after an episode, a sign he had a true seizure, not just a dream. Our next dog to have seizures was our Golden Retriever, a senior of 11 years old, who began to have Grand Mal Seizures just out of the blue. I have written about her in my post titled Dog Cancer Symptoms. Chelsea died about a week or two after her seizures began, as her seizures were the final symptom before cancer took her life. During the years of operating my Pet Hotel, I encountered a few dogs that were on medication for seizures or were pre medication epileptic (not yet diagnosed or treated by a vet). The dogs that were on vet prescribed meds for seizures eventually developed other health problems, usually heart related and did not live into very old ages. More recently, not long before I retired my dog business, I had a young 1 year old poodle that I believe had just had a seizure (in retrospect) when I noticed that he could not walk. but when I went into his kennel to encourage him to come with me, the little guy was barely able to walk. He wobbled along the hallway and looked so weak that I became very alarmed! I scooped him up, called the Vet on my cell phone and made arrangements to meet her at the Vet clinic which is about 30 minutes away from us. I dashed into the house and yelled for my husband, telling him that I was heading off with a sick dog. My poor husband was about to step into the shower when he heard me yelling. He grabbed his clothes, got dressed again and came dashing out of the bathroom with a rather wild look on his face! I was feeling scared with worry myself, holding the sweet little poodle in my arms. My husband insisted that he would come with me and hold the dog in his little kennel while I drove. The vet I had talked to apparently cycled over to the vet clinc, only 5 minutes away from her, while we drove that 30 minute drive in closer to 20 minutes! 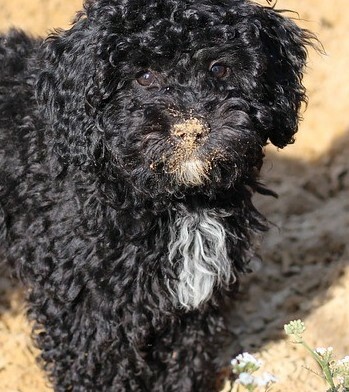 I was surprised when we arrived, at how ‘peppy’, the little poodle was when I reached in to take him inside. By the time I gently placed him onto the vet’s examination table, the little guy was positively bouncing with tail wagging! The Vet proceeded to check him over carefully but informed me that she could not find anything wrong with him. Quite frankly he sure didn’t look like the same little dog that I had scooped up in a panic back home. So how do you know your dog is having seizures or has just had one? A sleeping dog that is having a dream, will sometimes paddle his or her feet like he is running, the tail might even wag a bit, and you might hear some little yips coming from his mouth. When the dog walks up, he or she is able to walk off with no sign of weakness. For a quick and simple explanation, a dog that is having a seizure will jerk violently, with all four feet, while lying on his or her side, the body will stiffen, the back might arch back with his head. The seizure can last a few seconds to a few minutes and if severe enough, the dog will lose control of either or both bowel or bladder control. When the seizure starts, the dog might make some sharp wimpering noises but mostly I have observed the seizures are quiet. Some seizures, especially when Lyme disease is a cause, will cause a freezing in place, no jerking and spasims, just suddenly freezing in place. 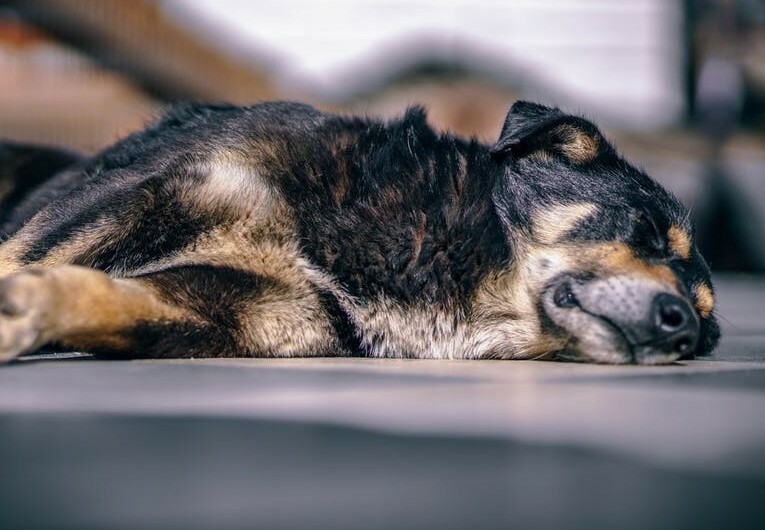 When the seizure is over, the dog will generally attempt to get up (if he or she went down), but will be wobbly and weak, sometimes even falling over if he or she attempts to get up too quickly.Its rather frightening to see your beloved dog go through this, especially when the dog collapses in front of you with no warning. 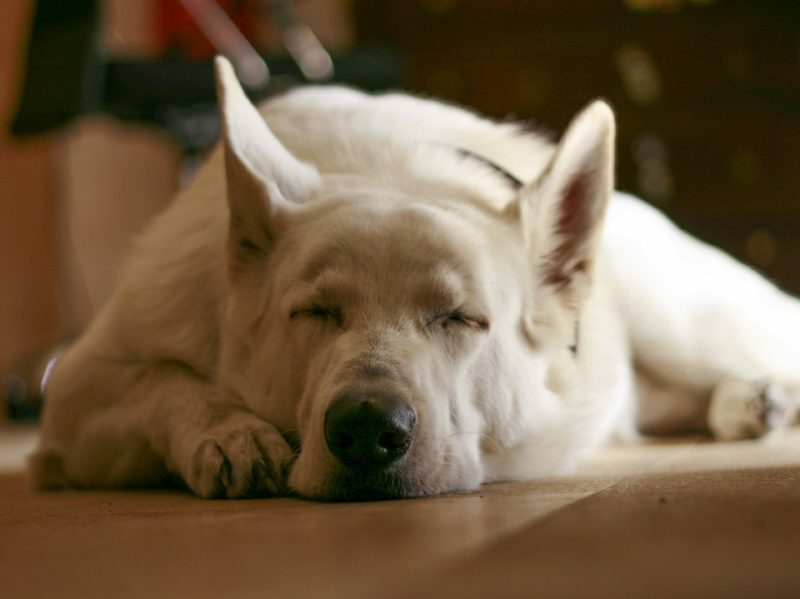 What are common causes of dog seizures? I did some research on this and came up with the following…. The three causes above all involve physical stress or damage to a part of the brain. The brain is a soft gelatinous muscle incased in a bone structure (skull). Muscles in the jaw as in the case of excessive chewing, can effect the brain from stress -a disruption of energy flow to the skull. When the brain inside the skull receives a hard knock, neurons in the brain become damaged and arteries can rupture, to keep it simple. Neck injuries can affect the flow of energy to the brain, actually increasing pressure to the brain as circulation is being restricted at the neck. The 2 causes above should be obvious, the brain requires a lot of nutrients to function well, same as the body. The air we breathe has polutants, the ground that vegetables, grains and the rest of vegatation grows has polutants, it’s rare to have a pure supply of water, many of us are forced to drink floride and chloride treated ‘tainted’ water that is far from pure. Next we have all the chemicals that are put into our foods, and those of our dogs foods. Mercury is a toxin that can cause seizures and can be found in certain fish from Mercury contaminated waters. That same fish might be in your dogs diet, in dog food or treats or maybe you feed a homemade diet with fish. Dogs are more likely to be affected by toxins in fertilizers, herbicides and pesticides that you use on your yard. A dog’s feet is in full contact with the grass and his nose is always working, absorbing and inhaling a lot more toxins than a human would. Combine all of the above with a lack of knowlege regarding a dog’s nutritional needs or maybe the dog foods that you are feeding are lacking, and you have a recipe for disorders of many kinds. Even when you are feeding your dog the most wholesome diet that you can find, if the dog’s digestion is not great, he or she is simply not absorbing all of the nutrients available. Certain supplements can correct this. We don’t have much control over viruses, so it’s important to build a strong immune system that can destroy or ward off viruses. Virus infections can cause inflammation of the brain and of the body, and can live in the body for a very long time. A neighbour aquaintance of ours, once developed a virus, seemingly over night, that affected her muscles to the point that she could not walk! It took her 3 months before she could properly walk again! Viruses are also suspected in Parkinsons, due to the inflammation that can result. Lyme disease can cause seizures when it reaches a more advanced state, where it affects the brain. Distemper, which is neurological, can also cause seizures. 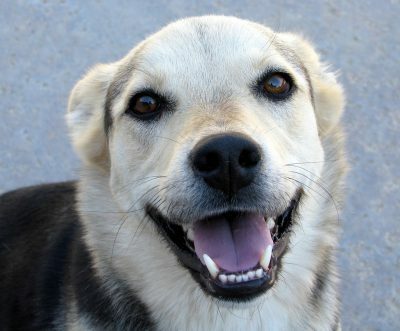 If the dog survives the disease Distemper, some of the damage to the dog results in seizures. I am a proponent of giving your dog a series of three vaccinations in the first year and only Rabies every 3 years after that. Over vaccination can seriously compromise your dog’ immune system. The dog’s immune system becomes overwhelmed with the barrage of antibodies from the vaccinations and can result in illness. I had a dog in my Pet Hotel that came down with Parvo virus within 24 hours of receiving a vaccination for it. This dog had had vaccinations every single year, and his immune system became overwhelmed in his third year. He was a very sick doggie, I was forced to take him to stay at the Vet Clinic for about 5 days so he could be intravenously treated. After that he was on more meds for about 10 days. There is another insidious cause of seizures, a fact that vaccines contain Mercury. True fact. Repeated vaccinations, compounded by years, results in a build up of Mercury and Mercury is very toxic. Flea and Tick products? While necessary sometimes, they are extremely toxic! Remember #5 above? Ironically the directions on those products say to avoid getting any on your hands, yet you are supposed to put the product on your dog. What do you think happens when you run your hands through your dogs fur? This herbal based product is available internationally and is made in Canada. This is a tough one and is one that I am acquainted with through our Golden Retriever, Chelsea. Brain tumours often start somewhere else in the body and eventually progress to the brain. I believe another one of my dogs’ had a small brain tumour, caused by tumour activity begun in his mammary glands. I have that story on my page titled Holistic cancer treatment for dogs. Epilepsy seems to run higher in certain breeds and in some family bloodlines, therefore one could say that epilepsy is also genetic. Poodles, Boxers, Border Collies, German Shepherds, just to name a few, seem to have a higher rate of epilepsy than other breeds. Alright, so now we know some common causes, what are the treatments? First, get a diagnosis from your Vet, so you can narrow some possible causes down to a possible couple instead of a list of 10. Your Vet will want to take some blood tests at the very least and go on from there. Conventional treatments involve some powerful drugs, which have their own side effects. Three common drugs that Vets will treat a dog with are… Phenobarbital or Potassiam Bromide (or both together), or a drug called Primidone which converts to Phenobarbital in the body. All of these can have side effects that range from drowsiness (sleeping most of the time), dizziness, hives, swelling on the face,weight gain, change in personality and even liver damage. 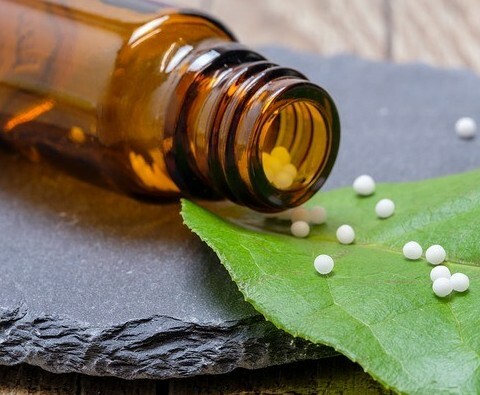 The advantage of homeopathic medicine is that there is no accumulative effect of more toxins adding to an already overburdened Liver. Side effects are minimal and do not further damage the dog as drugs like Phenobarbital do. It is important to consult a Homeopathic practician or Homeopathic Vet, because treatment depends on the kinds of seizures too. There are herbs that support and cleanse the liver as well, like Milk Thistle, Dandelion root, Chanca Piedra, Peppermint and Yellow Dock and other detox combinations. An experienced herbalist or Naturopathic minded Vet can help you choose the right combinations. Sometimes seizures stop when a food is changed, and nutrition is greatly improved. I strongly suggest for your dog’s over all health, switch to a grain free food if possible.Even switching to a top quality food, might not be enough, certain supplements can boost a dog’s diet to better health. you won’t find out unless you take away your dog’s chewing bones for awhile. If you have a young dog that chews excessively and has developed seizures, you will have to watch him more carefully during this time or he or she will go after things that are more dangerous still like furniture legs, upholstery,shoes and boots and many other items that are available. Try a period of 2 weeks to see if there is any difference. To prevent possible neck injury or if you suspect that your pulling dog is possibly causing seizures from excessive pressure around the neck..then I suggest that you use either a Halti or a Gentle Leader for supreme control. However there are some dogs never get used to having pressure on their noses and hate head halters with a passion or are just very unhappy while wearing one. Front clip harnesses work well for the medium pullers and work very well for little dogs. In fact I don’t recommend Halti or Gentle Leaders for very tiny dogs, I believe front clip harnesses are best for their size. Chain slip or choke collars are the worst choice for a heavy puller and are generally not used as they are intended. Martingale collars also tighten around the neck, but are still 100% better than a chain choke collar. Pinch collars are used by some with some effectiveness (I am not a fan of them), and should NEVER be left on the dog, and should only be used for leash training. If your dog already has seizures, then most definitely do not use any neck tightening collars like Martingale,slip or choke collars and pinch collars. especially if you vaccinate annually, then you should stop the vaccinations immediately! Rather test your dog’s level of antibodies for Distemper, Parvo and Rabies. In addition to this, your dog will need some herbal or homeopathic help to detox the liver. If the Vet or you think Flea or Tick Treatments (the conventional kind) are the culprits, switch to an alternative herbal treatment immediately. In fact as a preventive, don’t use them at all except in cases where your dog is infested with fleas and ticks (and needs a quick clean up). Same with vaccines, after ceasing using the toxic Flea and Tick treatments (like Advantage and Frontline and others), your dog’s liver will need a little help with either homeopathic medicines or herbs that are known to detox and support the liver. with regular treatments of MSM short for Methylsulphonylmethane. What is MSM? Fruits, cruciferous veggies like broccoli,fermented vegetables like sauerkraut and eggs contain MSM naturally. Dogs are not very likely to encounter much of this chemical in their diets so unless they are on a raw food diet (or lightly cooked). Overcooking destroys the MSM in the foods. MSM is a by product of DMSO (which I use on my joints). Anyway, I had come across some information years ago that MSM could cure some seizures in humans and dogs. I suggested this to the owner and she jumped at the chance to heal her dog naturally. She and I were of the same mind on this. Her dog, a Golden Retriever, was started on 500 mg of MSM once a day, and the seizures gradually disappeared completely! Now I am sure MSM will not work on all dogs because there are many causes of seizures, however it was an inexpensive and natural cure for her dog (and others). Number one, is prevention though right? Now that you know the common causes of dog seizures or dog epilepsy, some of the causes can be clearly prevented. Do not over vaccinate, in fact having your dog’s antibody titres tested instead of vaccinating, is the way many holistic dog owners and Vets are handling their vaccination protocols.Do not use the really toxic Flea and Tick products, go with the herbal products instead. Use better control for your dog like head collars or front clip harnesses Avoid treatments like phenobarbital if possible and investigate the more gentle treatments like homeopathy and herbal regimens. These are all great alternatives, but use your own research and discretion in all things. I hope I have been able to help. P.S.- I will be writing a future post on using CBD oil for dogs. Many people and animals (dogs in particular) are experiencing relief (and healing) from seizures using CBD concentrates. Stay tuned. Wow, this is a lot of great information on dog seizures. Having a dog that has seizures is a scary experience especially at first when you do not know what is causing it. Also, it is very worrisome not being able to be home all the time with the dog and during the night if a seizure occurs. I will make sure to pass on this information to all the dog owners that I know! Thanks! Hello Andrew, thanks for checking in here. It is a lot of information I know, but the article just kept getting longer and longer as I did more research and added my own experience. I hope it can help others.